RFL RECORDS: PIG HEART TRANSPLANT "THEY EAT WHAT WE EAT B/W THEY SLEEP WHERE YOU SLEEP" 7" OUT NOW! PIG HEART TRANSPLANT "THEY EAT WHAT WE EAT B/W THEY SLEEP WHERE YOU SLEEP" 7" OUT NOW! 300 MADE. ALL BLACK VINYL. ARTWORK BY FEEDING. 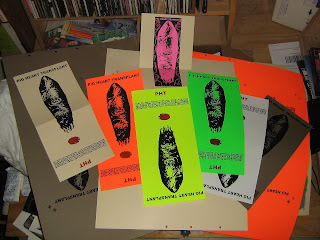 SCREENPRINTED COVERS BY NEOLITHIC PRINT CARTEL. if you want to request a certain color cover feel free. make sure you write it in the notes section of your payment. ill try and give ya what you want until they run out. thanks. also if you want to add any distro items check my list here. email me first to reserve and ill get ya a total price.